In January I took a big leap without a parachute when I quit my corporate day job in order to be a full time nutrition coach and blogger. This meant letting go of the security of employer provided health care, perks like a company car and a retirement plan, and of course… a steady salary. But it also meant that I was now able to completely devote myself to serving clients, both in a one-on-one capacity and in groups, and producing great content – such as this recipe for Salisbury Steak! Unfortunately, the nagging pain in my upper and lower back did not ease like I thought it would once I was no longer traveling every week for work. I finally sought a consultation with a rheumatologist who ran tests that indicated I am positive for the gene HLA-B27, which is associated with ankylosing spondylitis. Though my scans show no spinal fusion, she recommended physical therapy to address both the spondyloarthritis symptoms and scar tissue and improper healing from the 7 abdominal surgeries I had years prior for Crohn’s disease. It was slow going, but eventually years of pain finally started to ease. My favorite recipe in February? Definitely this one for Japchae – the Korean stir fried glass noodles, inspired by watching the Winter Olympics in South Korea! I continued working with clients and developing recipes throughout the rest of winter, in between twice weekly manual physical therapy sessions and daily exercises at home. I also had the privilege of attending the annual conference of my professional organization and certifying program, the Nutritional Therapy Association, in Vancouver, Washington. Meeting and learning from other Nutritional Therapy Practitioners and Consultants was energizing and enlightening and I can’t wait to do it again. It’s a long flight across the country from “the other Washington” where I live though, so I made sure to pack some snacks – including these Tigernut Energy Bites that became my favorite new recipe of March. By April I was really starting to feel improvement in the pain levels in my back, thanks in large part to the physical therapy. Contributing factors were also a more consistent commitment to eating a nutrient dense diet that avoids the non-AIP foods I haven’t been able to reintroduce (gluten-containing grains and most nightshades, among a few others), better stress management and sleep, and an adjustment in the medications that I take to keep Crohn’s disease in remission. Those are all key elements of using the autoimmune protocol (AIP) as a long term lifestyle, so it seems appropriate an April highlight was that I got to assist my professional mentors and friends, Angie Alt and Mickey Trescott, as a co-teacher for the new class of AIP Certified Coaches getting trained this year! My favorite new recipe in April was this Creamy Turnip and Parsnip Soup, because it was delicious and also because gave me an excuse to start sharing the progress of my urban vegetable garden, which included the harvest of parsnips that had overwintered in the ground. May was an exciting month for me because I got to finally complete something I had long wanted to do – participate in a silent meditation and yoga retreat. I am so grateful that I had the opportunity to take my practice to this deeper level and came back refreshed and ready to celebrate the “graduation” of our newly certified AIP Coaches and the members of the second SAD to AIP in SIX group in 2018. It’s also the month when my own 1:1 coaching practice really took off and I even had to temporarily stop taking new clients in order to keep everything in balance. By the end of May the garden was in full swing, especially the various herbs, so all of the recipes I posted that month feature one or more (or many) herbs, including this one for a Cucumber and Radish Salad. Ahhh June! What a glorious month for a newbie gardener… still so full of promise, still so unaware of the squash borers and the powdery mildew and the aphids lurking in the distance! This June was also extra special because I got to celebrate my maternal grandmother’s 90th birthday with the rest of my family. My favorite recipe for the month was definitely this one for Cherry Ice Cream, made from just some of the cherries that Mr. Gutsy and I picked at Hollin Farms in the Blue Ridge Mountains of Virginia. I love July… it’s the month of my birthday (I turned 43 this year) and always seemed special to me during the years of my life when I was a student and teacher since it marks the part of the year when you get to take a complete break from the regular routine of the rest of the year and refresh. This year I spent my birthday with my parents at their lake house in northern Wisconsin. We had glorious weather, but there were a couple rainy days that seemed just made for baking, so I did spend some time experimenting and came up with this Olive Oil Apple Cake with Maple Buttercream, which was definitely the highlight recipe for that month. In addition to being AIP, it’s also vegan, so you can serve it to practically anyone! Two huge things happened in August: First, I launched a massive collaborative cookbook project called 30 Minute Meals for the Paleo AIP. This involved the efforts of 40 different bloggers and countless hours of organizing, editing, re-editing, re-organizing! I’m very proud of the result, in particular because of the way our community always comes together to support each other’s efforts. Second, in late August I had what would end up being my final iron infusion for the the rest of the year and beyond. Iron deficiency anemia has been a long standing complication of Crohn’s disease for me, having been so bad at points that I required blood transfusions. It indicates that I have finally reached a new level of deep healing to be able to stop getting those treatments (at least for now – I’m realistic about chronic disease and know that it will have its inevitable ups and downs and know I will always have to monitor this). My favorite new recipe in August was this Thai Chicken Curry with Mushrooms and Carrots. On the heels of learning that my body was finally managing to absorb and hold onto all the materials it needed to make red blood cells, I decided that it would be “fun” to push my body a little further and see if I could get back into running. I was a track and cross country athlete in high school, but after I got sick in college and was diagnosed with Crohn’s disease, I never had any sustained periods of health that was good enough for me to do it again. I knew I needed to go slow and that some external motivation would be helpful, so I downloaded an app to guide me through a programed “Couch to 5K” workout plan. As my workouts increased, I found that my need for starchy carbohydrates did as well, which was perfect timing because my favorite winter squashes started to become available in September and I created this simple recipe for Kabocha Squash Fries. Ouch! Shin splints struck in October, so on the advice of my trusted friend and personal trainer, Andrea Wool (who has an awesome fitness program for those of us with autoimmune diseases called Autoimmune Strong, by the way), I took two weeks off and then gradually increased my running to get back on track. 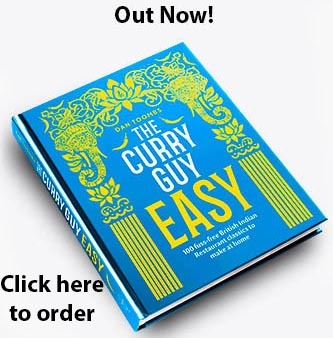 That gave me more time to spend with my clients and in the kitchen, so I was able to release my first ever solo ebook, The Gutsy By Nature Meal Prep Method. I also produced many delicious recipes in October and am having a hard time picking a favorite! I asked Mr. Gutsy to pick and he said the honor had to go to this one for Greek Shepherd’s Pie. Huge achievement for me in November when I completed a 4 mile “Turkey Trot” on Thanksgiving Day. Mr. Gutsy signed us up back in October, before the shin splints slowed me down, but I was determined to do it and then to complete the remaining two weeks of Couch to 5K workouts as well. In celebration of the seasonal flavors, and again… because I was simply determined to make it work, I developed this recipe for Pumpkin Cranberry Bagels in November and they have already become one of the most frequently viewed posts in my blog’s entire 5 year archive! And that brings us up to this month… which seems to be mostly devoted to the competing pressures to reflect on the previous year, plan ahead for the next, and step back and enjoy the holiday season. As you can see, 2018 was a very good year for me. I’m glad to have left my corporate job behind and have turned what had been just a part time blogging hobby into a full time career. In the process, I seem to have also turned around some stubborn aspects of my health as well – finally getting a handle on chronic anemia and putting what had been sometimes excruciating chronic pain way into the background. Establish a regular, appropriate physical exercise routine that can be an enjoyable part of my day. Develop a deeper, more meaningful relationship to important people in my life, as well as myself through meditation. Expand my nutrition coaching practice to serve more people throughout the year. If you would like to explore what it would be like to be one of those people I serve as a nutrition coach in 2019, please sign up now for a no-obligation discovery session! Click here to see available dates. The post Looking back on 2018 appeared first on Gutsy By Nature. Today’s political headlines include Gauke would be ‘very surprised’ if May backed a no-deal Brexit, MPs in attempt to block no-deal Brexit, May meets Rees-Mogg for peace talks and Johnson cleared in burka row. This light curry is absolutely delicious! 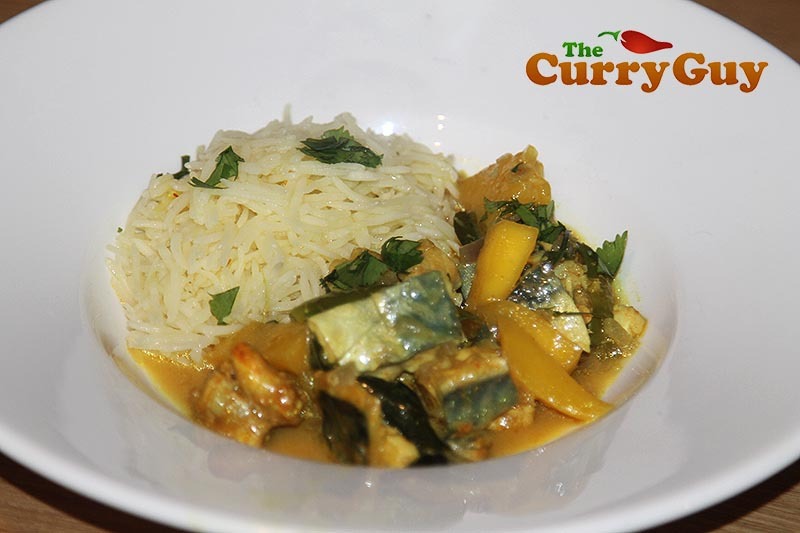 I’ve tried a lot of curries like this in India where large kingfish mackerel are usually used. The fish are cut into pieces through the spine and then cooked on the bone. 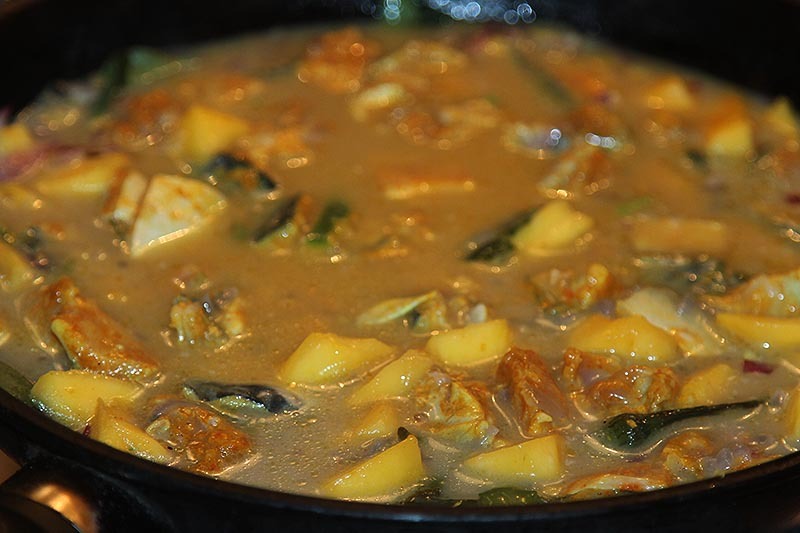 I was served a mackerel & mango curry once when smaller mackerel, like the ones we get in the UK were used. That time, the fish was also cooked on the bone. It was amazing but those small bones were sure annoying and the meal was difficult to eat. 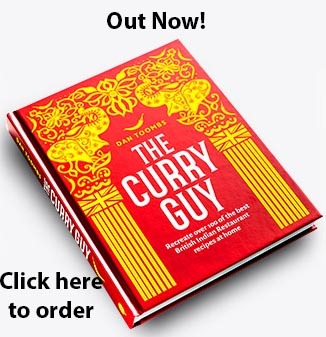 I cook this curry differently for that reason. Not only is it easier to eat, it’s also safer for people to eat without the worry of them choking on a bone. The mackerel is filleted and then the bones and heads are wrapped into cheesecloth to cook and flavour the coconut milk sauce. This curry is usually a lot spicier. In fact, more often than not it’s red from all the curry powder added. I’ve toned it down a lot for my family but I do love the spicier versions. Feel free to add more chilli powder if you like the heat. 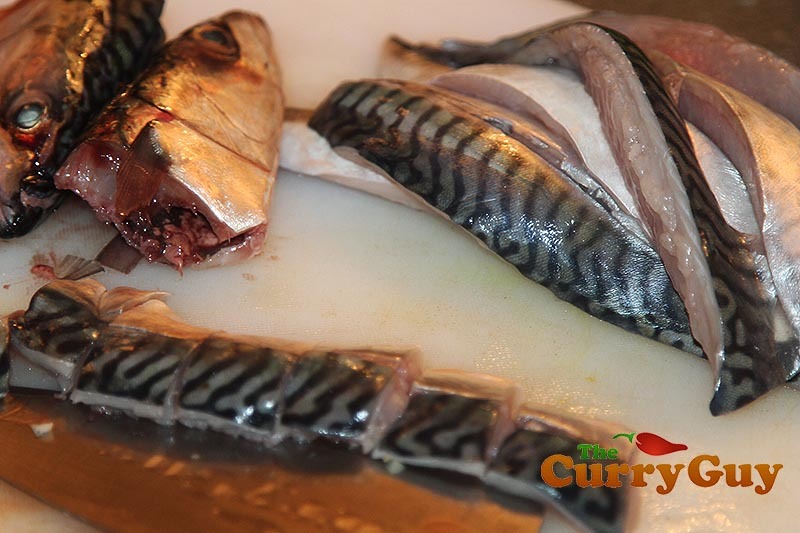 Slice the mackerel fillets into bite sized pieces. Wrap up the bones and heads in cheesecloth for simmering. 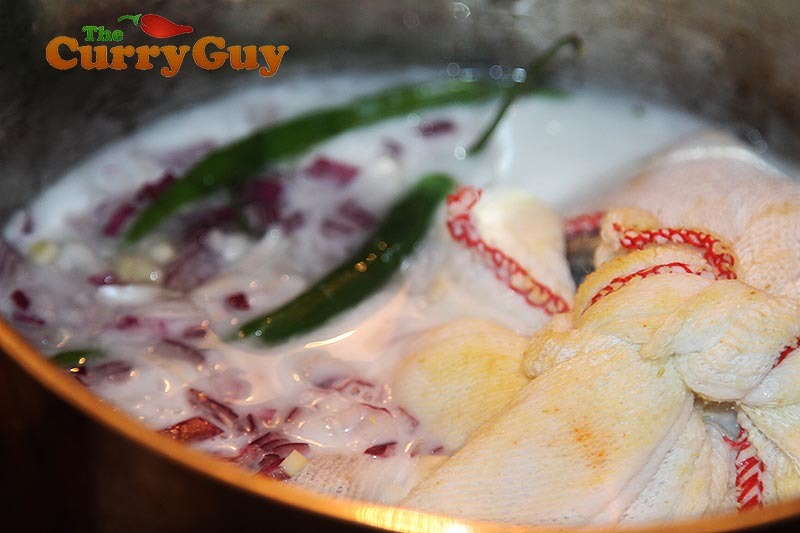 Simmer the fish bones with onion and sliced chillies until reduced by half. In another pan, fry the mustard seeds, onion and curry leaves. Remove the fishbones and add the marinated fish and mango. Stir and simmer until the fish is cooked through. 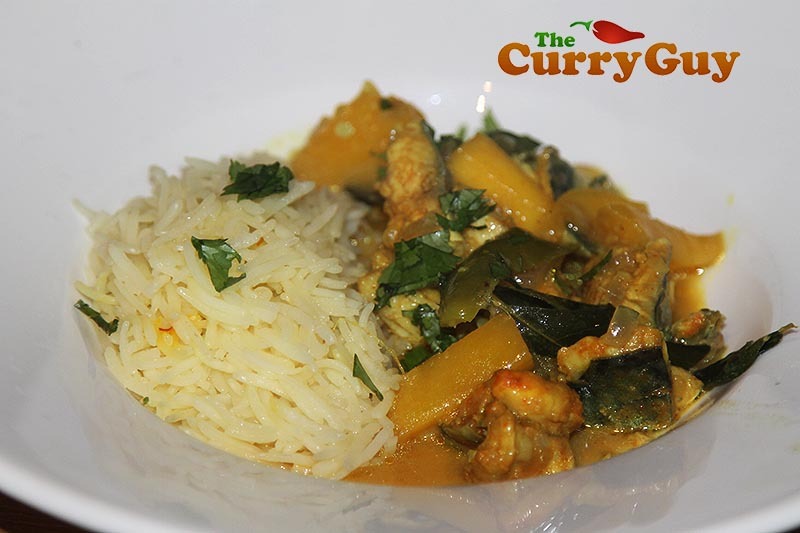 This is perfect served with white rice or saffron rice. 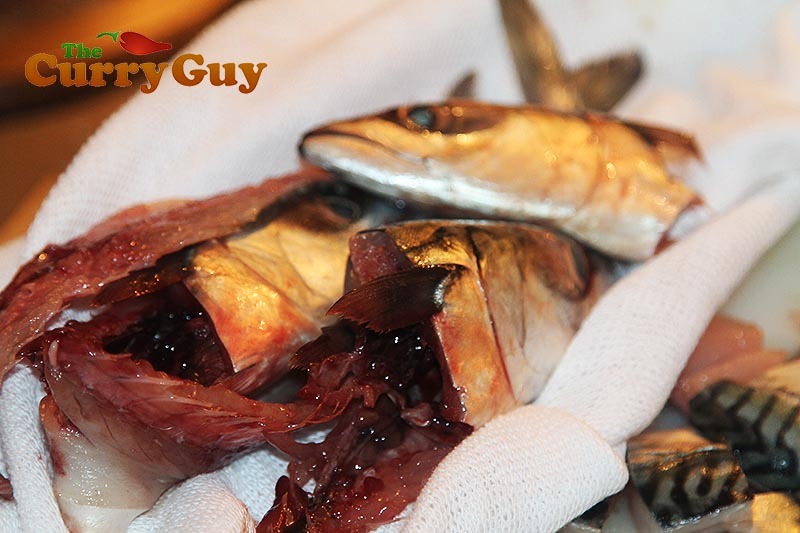 Cut the mackerel fillets into bite sized pieces. Place in a bowl and stir in the salt, turmeric, chilli powder and coriander powder. Allow to marinate while you make the sauce. Tie the fish bones up securely in cheesecloth or any clean cloth. Place this package into a large saucepan or wok and pour the coconut milk in along with the green chillies and ¼ of the chopped onion. Simmer the coconut milk until reduced by half, about 10 minutes. 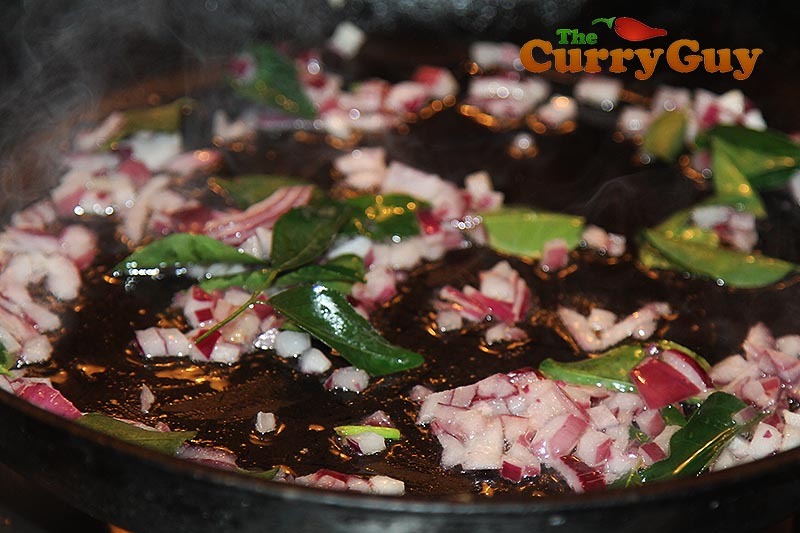 Meanwhile, heat the oil in another pan and fry the remaining onion and curry leaves until the onion is soft and translucent, about five minutes. You are using very little oil so watch it all carefully and reduce the heat if slower cooking is necessary. You can add a drop of water if the onion is burning to the pan which will solve that problem. 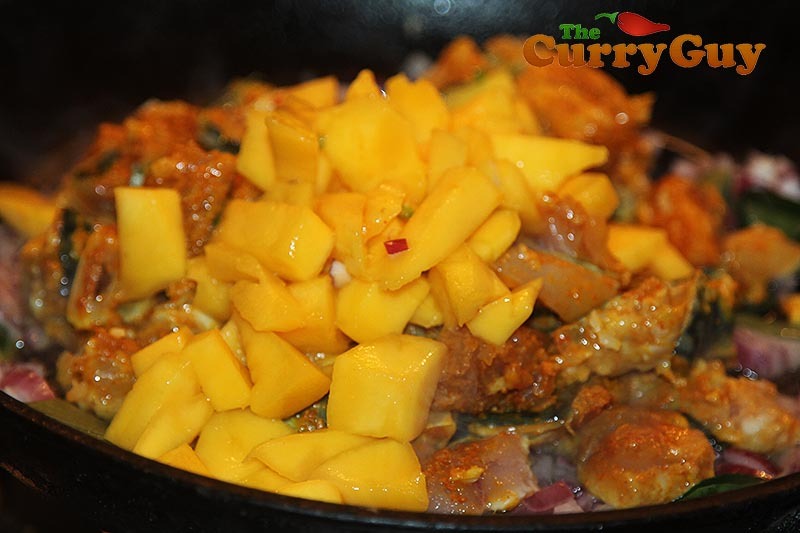 When your onion is cooked and the sauce reduced by half, add the mackerel and mango to the pan and pour the coconut sauce, stewed onions and chillies over the top. Stir well and cook until the fish is cooked through and the sauce thickened to a consistency you’re happy with. Season with salt to taste and garnish with the coriander. The post Easy Cranberry Curd including Power Blender Option appeared first on Fab Food 4 All. The post Happy Bump – Staying Fit While Pregnant appeared first on The Londoner.